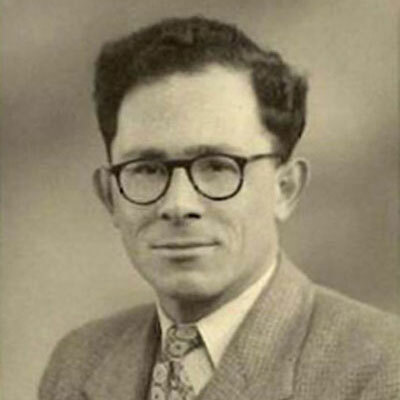 Heinz Wolfgang Finke, born in 1924, was one of the last youths to celebrate his Bar Mitzvah in the Synagogue of Insterburg, Germany, before it was destroyed in the Kristallnacht pogrom of November 1938. The Finke family lived in Insterburg where Heinz’s father Arthur-Otto had a business selling assorted clothing, including police uniforms. His mother, Johanna, was a housewife who played the piano at community functions. Heinz had a younger brother Ernst, and his mother’s mother Hedwig Markiewitz lived with them. On Kristallnacht, the family was awoken in the middle of the night and taken to the police station. The women and children were released towards morning, but Heinz’s father remained imprisoned for a number of weeks. The events were so traumatic for the Finkes that Arthur and Johanna searched for escape routes for their sons, checking into options in Palestine, Belgium, the United States and England. 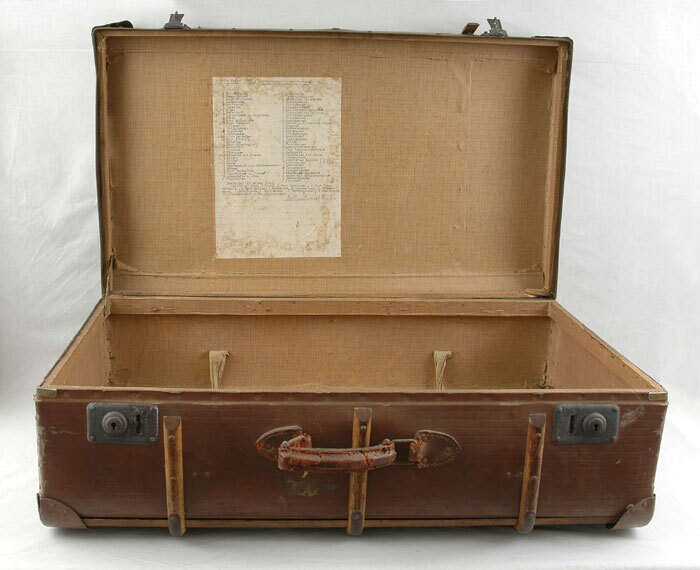 On June 20, 1939, the Jewish emigration office in Koenigsberg notified them that Heinz was to be included in a list of youngsters to be sent on a Kindertransport set to leave Germany on June 27. Ernst, who was three years younger, remained with his parents. der Hilfsvereins der Juden in Deutschland e. V.
Berlin W.35 Ludendorffstr. 20 "
In Koenigsberg, the neighboring town, Heinz said goodbye to his family and joined the group that was traveling to Berlin and from there to Hamburg to sail to England. Upon arriving in England, Heinz was sent to a hostel in the town of Claydon in Suffolk. As a 15-year-old he was sent to assist with berry picking. After six weeks he and some of the older boys were transferred to a hostel in the town of Walsall, near Birmingham, where a local refugee committee cared for them. The boys were employed for low wages by a local engineering factory and were treated well by the local community that was made up mostly of non-Jews. Once a month Heinz would receive a letter from his parents through the Red Cross, until the middle of 1942, when his grandmother wrote to say that his parents and brother had “left”. He never heard from his family again. After the fall of Dunkirk in 1940, England adopted the ludicrous policy that Jewish refugees who had escaped Nazi Germany were to be sent as “enemy aliens” to internment camps together with German prisoners of war. As a result, the boys in the hostel over the age of 16 were taken to internment camps and subsequently sent to western Australia together with German and Italian POW’s. To Heinz’s good fortune, he was not yet 16 years of age and was allowed to stay with the boys of Polish citizenship who were considered “friendly aliens”. The hostel was closed, but the boys found lodging with families in the town. After much public outcry, British policy was finally changed to include a specification for “friendly aliens of enemy origin”. Thus, when Heinz became 16, though he was not allowed to continue working at the engineering factory that was engaged in work of “national importance” for the British admiralty, he found work in leather manufacturing. Later he was finally allowed to return to work in the factory. Heinz volunteered in the city fire brigade as well as in the Home Guard. The British government later recognized the folly of its policy towards the refugees and eventually Heinz and other German speakers were enlisted in army intelligence units. At the end of the war, Heinz continued working in the factory and advanced to the position of buyer. With time, he realized that his immediate family would not return, but on the lists of survivors he found the name of his Aunt, Ursula Finke, from Berlin. Ursula had been in hiding in Berlin until informers revealed her whereabouts. After jumping in front of a subway train in a botched suicide attempt, she was hospitalized in the Berlin Jewish Hospital where she survived until the end of the war. Ursula’s brother survived Auschwitz and Bergen-Belsen and Heinz remained in close contact with the two for many years. When wartime restrictions on Heinz’s movement to a five-mile radius of Walsall were finally lifted, he started to visit nearby Birmingham. He made connections with the Jewish Community and there he met his future wife Thelma Samuel. The couple married in 1956 and Heinz joined the family jewelry business. Thelma and Heinz had two children, Ruth Caplan and Arthur Finke, who live in England. Heinz Finke submitted the Pages of Testimony in memory of his parents Arthur-Otto and Johanna Finke and his brother Ernst.